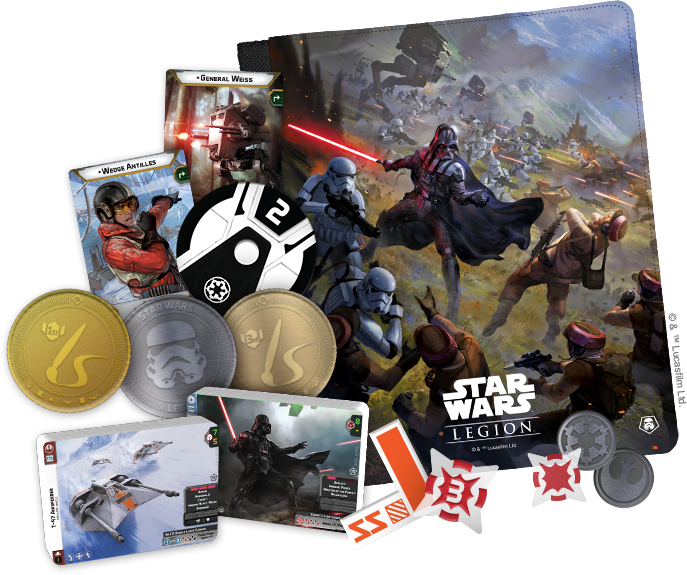 Maximum Firepower tournaments invite the very best and most enthusiastic Star Wars™: Legion players to assemble their armies, refine their strategies, and prove their worth on the field of battle! Hosted primarily at conventions and similar events, these top-tier tournaments are certain to challenge even the most experienced generals while newer players are certain to learn all kinds of new tricks and tactics. Additionally, by attending you put yourself in the running for a fantastic assortment of prizes, including an invitation to attend the High Command event and march further along your path to the World Championship. Organizers gain a measure of freedom to structure and run Maximum Firepower events the way that best serves their audience. Be sure to contact your event organizer for more details prior to attending. The list of Maximum Firepower events will be updated as more events are added. Contact your event organizer for details. Event Organizers: If your information is listed incorrectly, please update it on our Store Update form​. Contact the venue directly for event details. Check back for updates, or follow us on Twitter @FFGOP. There are currently no Maximum Firepower events scheduled in Canada. Updated: 9/20/2018. Event dates corrected.